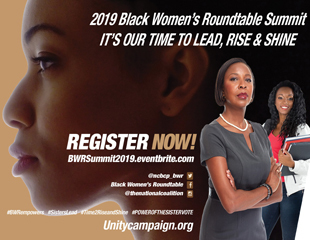 Hundreds of Black women from around the U.S. are convening on Capitol Hill in the Washington, DC from March 17 to March 20, for the Black Women's Roundtable Women of Power National Summit. As the 2016 presidential primaries and caucuses continue across America (Arizona, Idaho and Utah all have contests on Tuesday), there's no shortage of polls and pundits trying to predict which group of voters can help their candidate win the White House. For Kwamme Anderson, the power of black women goes beyond turning out in record numbers to vote, but using their influence to bring others with them to the polls. 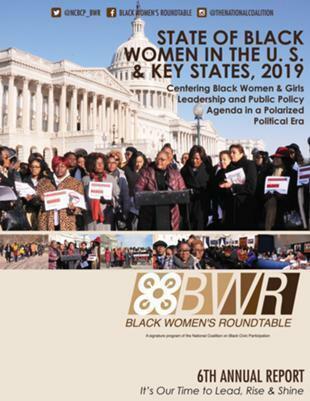 The Black Women's Roundtable released its third annual State of Black Women in U.S. Report at its 5th Annual Summit in Washington, DC. Make no mistake, Black women work hard, but many of us are still stuck in a seemingly unending cycle of poverty. And it’s not that we don’t have the skills or even an entrepreneurial spirit to change our circumstances, there are a lot of factors — both internal and external — that come into play regarding our economic standing. Atlanta’s first lady, Sarah Reed, was among an illustrious group of women who were paid homage for the Georgia Coalition of Black Women’s (GCBW) Women’s History Month celebration.